Amanda: Smile for the camera boys. Sarek: This is as close as we get. Sarek: "You did give her uncle a neck pinch?" Spock: "Indeed. He sleeps amongst the beer cans in his shuttle craft." 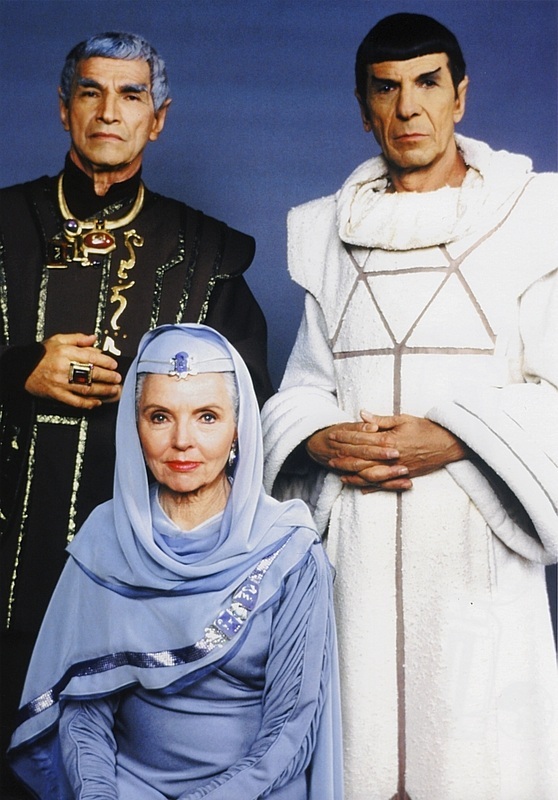 Sarek: "Then let the family photos begin." Spock: I cannot feel, so I don't know what you mean by "Akward." Sarek: My son, do you not remember Dr. McCoy? "Don't worry about the Admiral barging in and demanding to be included in the pictures, mother. Father and I got him nice and loaded on Saurian Brandy. When he was just the right level of drunk father gave him a nerve pinch. He'll be sleeping the next 10 to 12 hours, mother." Coming this Fall...the hilarious and very logical new comedy,"My Vulcan Next Door Neighbors".